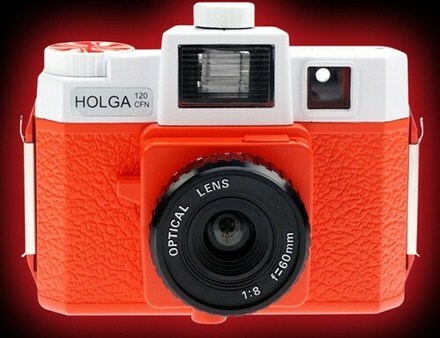 We love the Lomography cameras – and these White Stripes special edition Lomography cameras are right up there with our favourites. 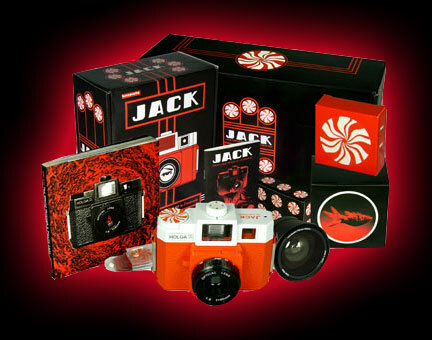 Special edition and limited edition, just 3,000 of the Jack Holga and Meg Diana+ are available. 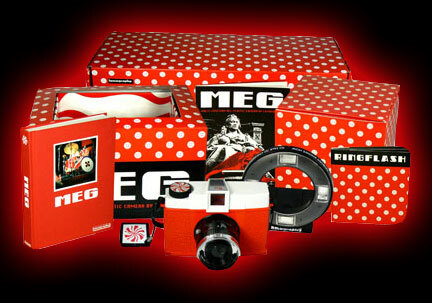 No difference to the standard version of said cameras apart from the look and the add-ons – the Jack Holga Starter Kit includes an additional Fisheye lens, three filter set and a custom Peppermint lens filter and the Meg has a "Nobody Knows How To Talk To Children" ringflash and a custom Peppermint Film Mask filter. 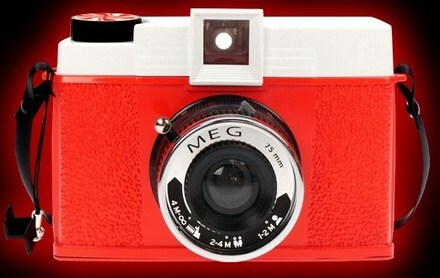 Both sets sell for $180 (£90) each, get them now or miss out. More images after the turn.